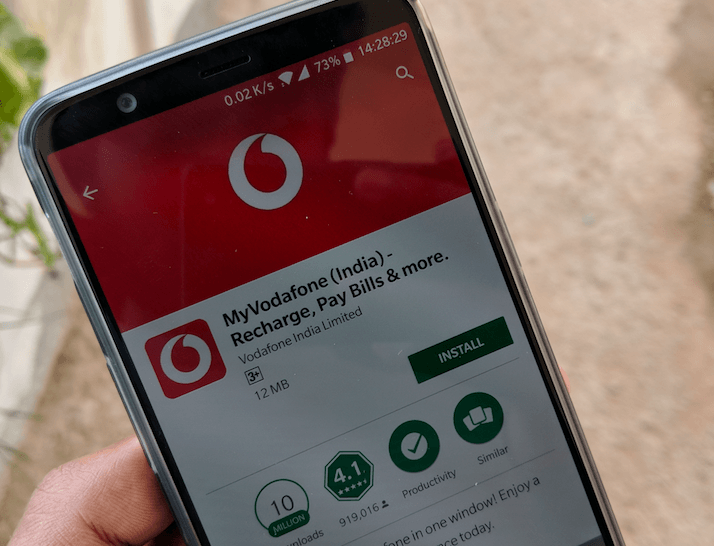 Vodafone India has rolled out a new prepaid plan to its subscribers in UP East circle. Vodafone has introduced an entry-level plan of Rs 9, which provides the users unlimited voice calling, data and SMS benefits too. The benefits of the plan will be valid for one day until midnight since the activation of the plan. Other telcos such as Airtel, Idea Cellular and Reliance Jio are also offering such tariff plans in the country, and Vodafone is the late entrant to the party. The Rs 9 prepaid plan gives unlimited voice calls presumably without any FUP as Vodafone says customers can enjoy all-day long calls. The plan also offers 100 SMS and 100MB of 2G/3G/4G data, which will also expire over the midnight. Vodafone is currently serving over 60,000 towns and villages in the circle and UP East is one of the major circles for the UK-based telecom operator. As mentioned, Airtel also has a similar plan of Rs 9 that offers unlimited voice calls, 100 SMS and 100MB data for one day, while Idea’s plan also provides the same benefits. Vodafone’s plan is also valid in other circles such as Gujarat. “As the network of choice, we want our customers to get the value for money at a price point that fits their budget. Hence Vodafone Rs 9 pack allows our customers to make unlimited calls, send 100 SMS, and enjoy 100MB of mobile internet surfing, for one day. Now, enjoy maximum conversations at a pocket-friendly price with Vodafone – The Data Strong Network,” he further added. Vodafone is currently working closely with Idea Cellular for its merger to form the leading telecom operator in India with over 430 million subscriber base. BSNL provide 10 days unlimited call at Rs 39 and Rs 7 provide1GB data for 1 day.